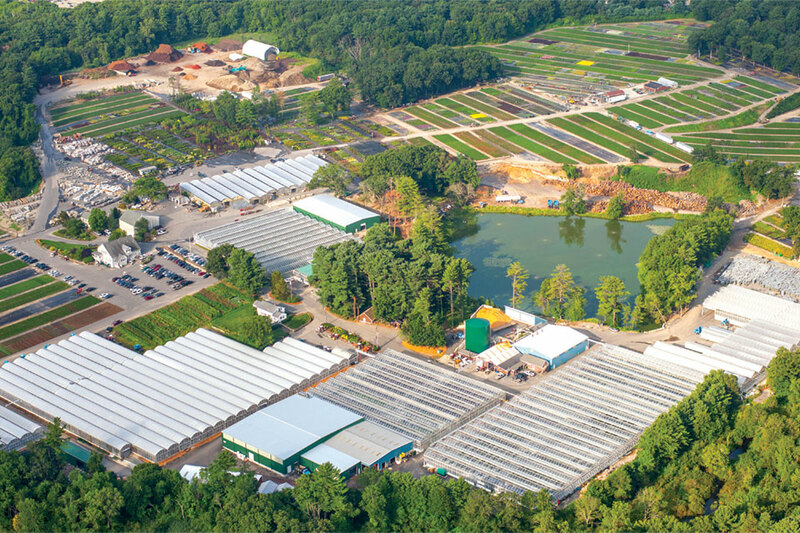 Cavicchio Greenhouses has grown from a 56-acre operation growing apples and vegetables to a 250-acre wholesale operation that distributes annuals, perennials, and a variety of nursery stock. 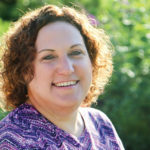 The owners of Cavicchio Greenhouses, Inc. have a four-generation connection with the land that closely ties with their firm commitment to take environmental stewardship seriously. The company was one of six honored with the 2016 Inaugural Associated Industries of Massachusetts (AIM) Sustainability Award, in recognition of its excellence in managing environmental stewardship, social well-being, and economic prosperity. Started on 56 acres in 1910 by Giuseppe and Cavita Cavicchio, Cavicchio Greenhouses is a wholesale horticultural grower and distributor that grows annuals, perennials, and nursery stock on 250 acres located in Sudbury, MA. It also carries a premium selection of soil mixes, stone, and landscape supplies. In addition to its field and nursery production, the company operates 10 acres of state-of-the-art greenhouse space. Today, the operation continues to flourish under the leadership of Paul Cavicchio, Jr.
On the path to winning the sustainability award, Cavicchio’s has made several investments in technology to save energy and reduce its carbon footprint. Computer-managed environmental controls allow for the most efficient use of heat and electrical energy in the greenhouses, and each unit is equipped with heat-energy conservation curtains. Flood-and-flow floor systems address water use, and 160 acres of graded fields direct water back into irrigation ponds for recycling. A wood-chip-fired central boiler system, fueled by waste wood from landscape contractors and arborists, provides heating. Growers have also incorporated biocontrols into their integrated pest management regimes to reduce pesticide usage. Cavicchio Greenhouses works to communicate the importance of not misusing the land it occupies and has engaged customers by implementing free plastic pot and tray recycling programs, recycling more than 300 tons of plastic annually. Other drop-off items for recycling include clean fill, soil, bricks, asphalt, rocks, and concrete.